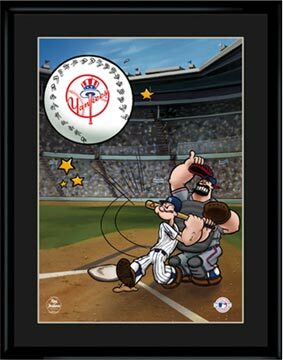 This collectible lithograph from Toon Art featuring Popeye comes in all MLB teams. 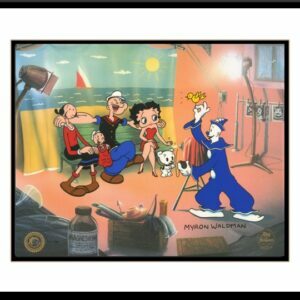 Each lithograph is limited to 5,000 pieces, includes a certificate of authenticity, and comes matted and framed. 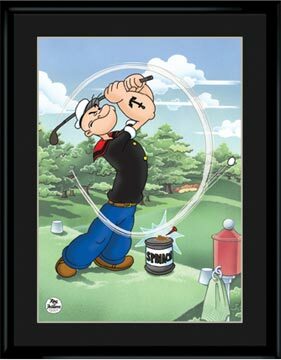 This collectible lithograph from Toon Art featuring Popeye ready to Tee Off. 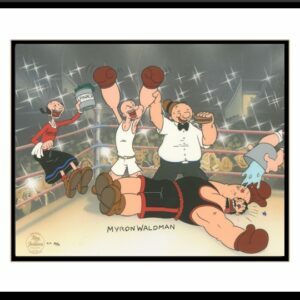 Each lithograph is limited to 5,000 pieces, includes a certificate of authenticity, and comes matted and framed. 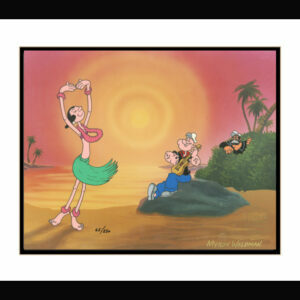 Popeye made his film debut in Popeye the Sailor, a 1933 Betty Boop cartoon (Betty only makes a brief appearance, repeating her hula dance from Betty Boop’s Bamboo Isle). 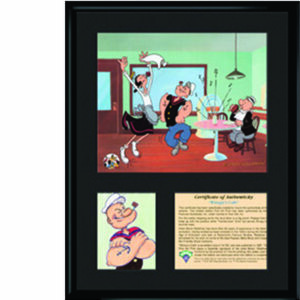 It was for this short that Sammy Lerner’s famous “I’m Popeye the Sailor Man” song was written. I Yam What I Yam became the first entry in the regular Popeye the Sailor series. 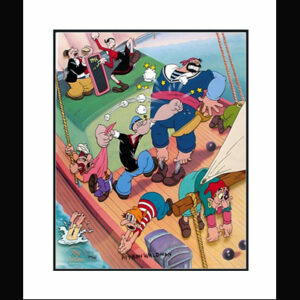 This 11 x 14 collectible lithograph from Toon Art featuring your favorite characters from the Popeye gang. Each lithograph is limited to 14,500 pieces, includes a certificate of authenticity, and comes matted and framed.